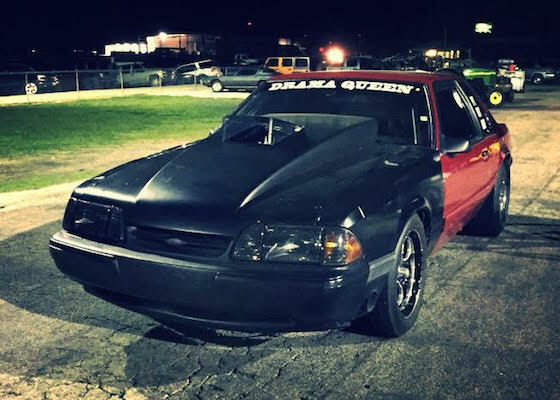 Inside the Blue Building: Car of the Week: Kiethan Lewis' 1990 Ford Mustang LX "Drama Queen"
Car of the Week: Kiethan Lewis' 1990 Ford Mustang LX "Drama Queen"
Welcome to the BTE Racing Car of the Week series, where we feature our customers and fans, and the cars (and trucks) they love to race. 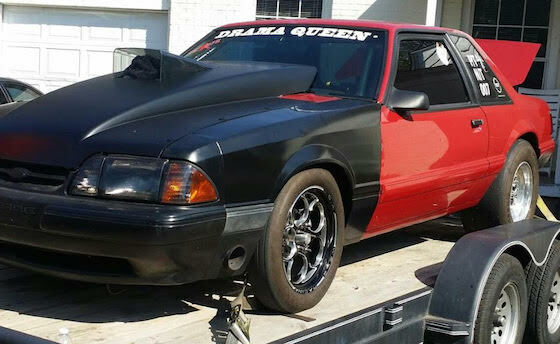 Today, it’s all about Kiethan Lewis from Mesquite, TX and his “Drama Queen,” a 1990 Ford Mustang LX. My best friend was doing it and he let me drive his car. I’ve been hooked since! I raced for the first time in 2003 at the street races in Garland, TX. BTE is very affordable and dependable. Since I put it on my car, I have had no issues! Pray for my safety. Wear my lucky slides to the track and been doing that for the last few years. They became my lucky slides after I noticed I’d been wearing them to the track and nothing bad has happened to me since.